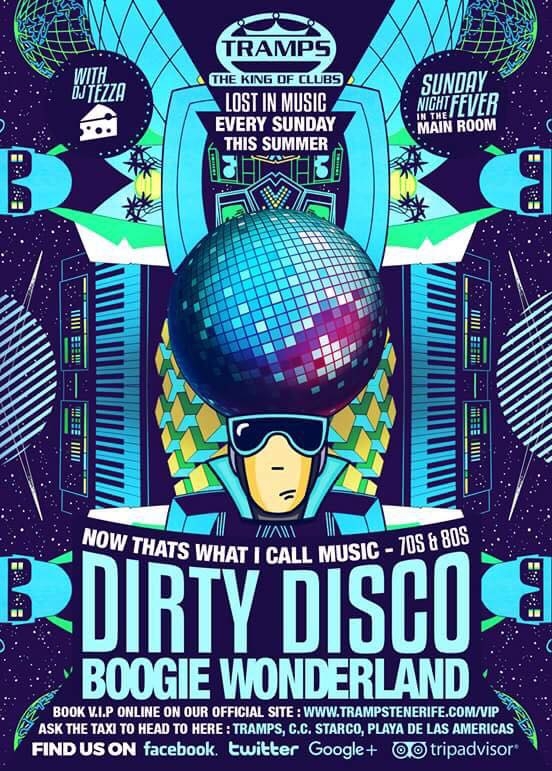 Every Sunday this Summer, Tramps proudly presents Dirty Disco - Boogie Wonderland, with your all time favourite hits from Now that's what I call music - 70s & 80s in the Main Room. Tramps will get lost in the music with Sunday night fever brough to you by DJ Tezza 🧀 playing all the very best hits from the 70s disco era and the awesome sound of Pop music from the 80s. Come and join us in this never before seen party in Tenerife.